A time-travel effect with playing cards - what more could you want? A card from the past, placed somewhere to be examined in the future. And all throughout, appearing in different places at will. Does the card from the past become the card of the future? Of course! A beautiful and original take on the Ambitious Card plot. This multi-phase card routine truly blends reality and time, as well as your spectator's minds! Simplified handling included with download. 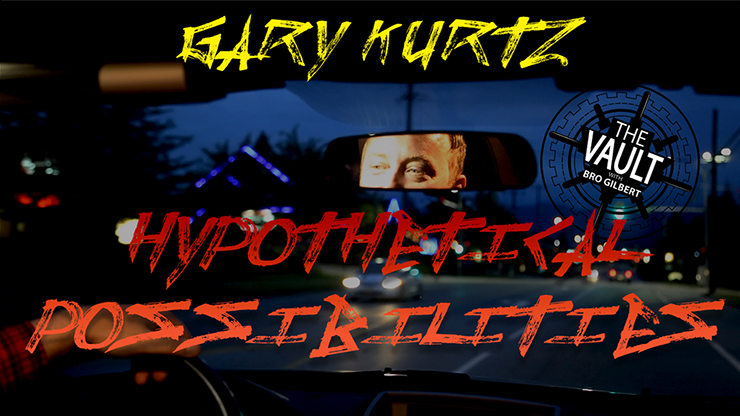 Learn from Gary Kurtz, a true master of magic and download Hypothetical Possibilities today.